Today sound and image records account for a large portion of the world’s memory and are found in diverse cultural institutions. As documents of intangible heritage and contemporary culture they are of immense value; yet, archives, museums, libraries and other cultural institutions around the world are struggling to conserve their sound and image collections in both analogue and digital formats. Moreover, conservation of sound and image materials is complex and requires specialized guidance, skills and infrastructure. While digitization offers new possibilities for wider access and preservation, many institutions lack expertise to assess the technological implications and to make informed choices that do not strain institutional resources and at the same time respect the authenticity and inherent values of this heritage. The course will provide an overview of issues related to the preservation and access of sound and image materials e.g., photographs, films, video and audiotapes, and digital materials. It will discuss the value, meaning, selection and use of sound and image collections in various institutional contexts, exploring the potential of sound and image media in transmitting knowledge and cultural traditions. Initial sessions will especially focus on identification of various formats including the playback equipment, life expectancy of media and ways of detecting deterioration. Additional course topics will include: current knowledge and practices for documenting and cataloguing, media handling and storage, risk assessment of collections, emergency preparedness and response, criteria and technologies for migration and reformatting, planning preservation projects, outsourcing options, digital preservation and management. Issues such as curating and access, copyright laws, legal deposit, and institutional and national preservation policies will be discussed in context with participants’ working realities. Adaptation to technological changes and related cost-effective preservation strategies will form a key component of the course. 4) They will have improved their skills to communicate effectively across disciplines and to work in teams. The course will comprise lectures, a variety of group activities, practical sessions, case studies and site visits. Significant time will be allocated for independent consultation with the course team. Case studies for the course will be based on participants’ inputs and will address issues and challenges identified by them. Thus, active involvement of participants will be sought during the course preparation phase. A follow-up programme, will involve working on self-defined initiatives in participants’ home institutions and communicating as well as networking through a platform supported by the organizers. The course is aimed at professionals working with mixed collections that have sound and image records of national or regional significance. In particular, it will interest archivists, collection managers, conservators, curators and librarians in charge of preserving such collections in various cultural institutions around the world. It will also interest Information Technology professionals working on projects involving digitization of sound and image collections or allied professionals and managers working for broadcasting institutions. Preference will be given to people actively involved in teaching and advising. Participants will be responsible for their round trip travel costs to and from Nairobi (Kenya). In order to cover living costs during the course, participants should plan for a minimum total allowance of approximately Euro 1200. This sum would include the costs of accommodation in moderately priced hotels identified by the organizers. 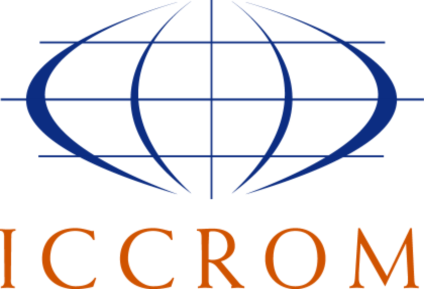 Candidates are strongly encouraged to seek financial support from sources such as governmental institutions, employers and other relevant funding agencies. . ICCROM may be able to offer a limited number of scholarships to selected candidates who have been unable to secure funding. Please use the course application form at http://www.iccrom.org/eng/01train_en/forms_en/2013_SOIMA_applfrm_en.doc and send it by e-mail to Soima2013@iccrom.org. Please note it is mandatory to include the statement stating your reasons for applying. Application deadline: 1 March, 2013. Applications without the statement of intent will not be considered. Should you be sending the application by mail, please send to the following contact address: SOIMA 2013-Collections Unit, ICCROM, 13, via di San Michele, 00153 ROME RM, ITALY.